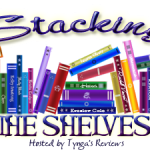 Stacking the Shelves (255) – Escape Reality, Read Fiction! 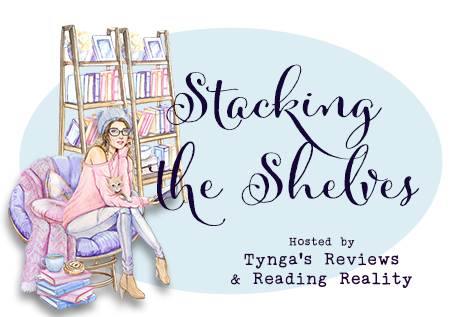 It’s a good thing that a big chunk of my towering TBR stack is virtual. We just found out we’re moving again. Packing books and unpacking books is a pain, and books in mass quantities add seriously to the weight of what’s being moved. And therefore the price of moving it. As we’ve done before. C’est la vie. Lots of good, new stuff this week. I always love getting something new from Anna Hackett, and I’m definitely in the mood for some seriously distracting reading this weekend! I borrowed mine from the library. If you can get ebooks from your local library, they might have it. Happy Hunting! Great haul this week! I have been curious about My Lady’s Choosing but haven’t requested it yet. These all look great! Yes, I picked that one up to itch my curiosity bump, too. It looks interesting. How interesting, well, we’ll see. But I am definitely curious about it. In the Shadow of Agatha Christie sounds like a great book. I have added it to the list! The editor is the same person who co-edited several Sherlock Holmes collections. If he does half as good a job on this as he did on those, this collection should be a winner! 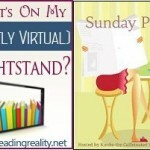 I got The Gentleman’s Guide to Vice and Virtue this week as well! Can’t wait to read it! I hope you’ll enjoy all the books you got! The Gentleman’s Guide to Vice and Virtue is such a fun read. I hope you enjoy it and all of your other new books. Have a wonderful week! I hate moving. Packing is the worst! All those books are new to me. Enjoy!